Few young producers have managed to build as prolific and influential a discography in the span of a few years as Hodge. Since his first release in 2011 and his latest, a four-track EP released recently on cutting-edge English label Berceuse Heroique titled Beneath Two Moons, he has produced 20 solo records and 12 more under his collaborative project Outboxx. His distinctive, booming and utterly contemporary collision of techno and dubstep has appeared on almost every notable British dance music label of the last decade or more. The list includes the groundbreaking 2-step/dubstep powerhouse Tempa, new-school titans like Livity Sound, Berceuse Heroique, Idle Hands and Hemlock and further-underground imprints like Wisdom Teeth. It’s hard to imagine what he does in his free time besides make music—except gig, of course. His schedule this weekend includes a February 23 stop at Stuttgart’s White Noise for a headlining slot at one of our Telekom Electronic Beats Clubnight parties. To gear up for the evening, we’ve taken a look back at his catalog and selected some key moments in Hodge history. Hodge’s first offering is a far cry stylistically from the sound he developed over the following years, but it’s nonetheless a charming record. While he’s known for destructive, peak-time techno bangers, “The Fall” features skipping, lighthearted rhythms, dubby chords and post-dubstep-indebted vocal flourishes. The 2-step shuffle on the b-side, “Crush”, wouldn’t feel out of place among contemporary minimal-associated labels in Frankfurt and beyond. This two-tracker followed Hodge’s first official collaboration with Livity Sound boss Peverelist and constituted his first solo record on Punch Drunk, a Bristol label noted for pushing dubstep to new places. Here the elements of what would become Hodge’s trademark sound are apparent: a clinky-clangy off-kilter melody, a machine-y beat that pushes a massive rumbling bassline closer to techno territory and a natural gift for constructing effective drops. 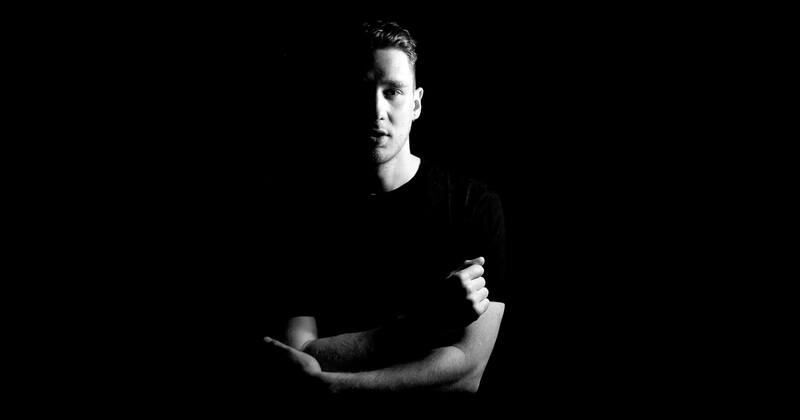 2014 was the year Hodge presented his fully developed vision of UK techno. Records with his name appeared on forward-thinking English labels like Tempa, Berceuse Heroique and Hotline that year, but his smash-hit on Livity Sound’s sublabel constituted his clear breakthrough moment. All the Hodge hallmarks are hard at work on “Amor Fati”: shuddering percussion; a construction that seems to build forever and eventually collapses into a heads-down bassline built for big rooms; a vocal that steals the show from any track its mixed with. This early 2015 release on Wisdom Teeth kicked off a year that would see Hodge tunes come out on Hemlock and Berceuse Heroique—not to mention another much-rinsed anthem with Pev on Livity Sound. The sense of restraint on most of “X” drives deep and eventually gives way not to one of his signature catastrophic drops but to angelic, soft pads. This hectic, heads-down banger makes us sweat just listening to it on headphones. A huge stomp of a kick and rattling rhythmic elements provide a solid framework for eerie ambient pads. Not for the faint of heart, this one.